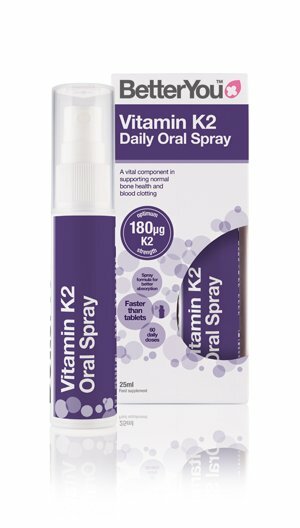 Vitamin K2 is a vital component in supporting bone health, heart health and normal blood clotting. One of the primary roles of K2 is delivering calcium into the bones, rather than settling within soft tissue. Without vitamin K2, calcification of the arteries can occur, increasing the risk of heart disease. 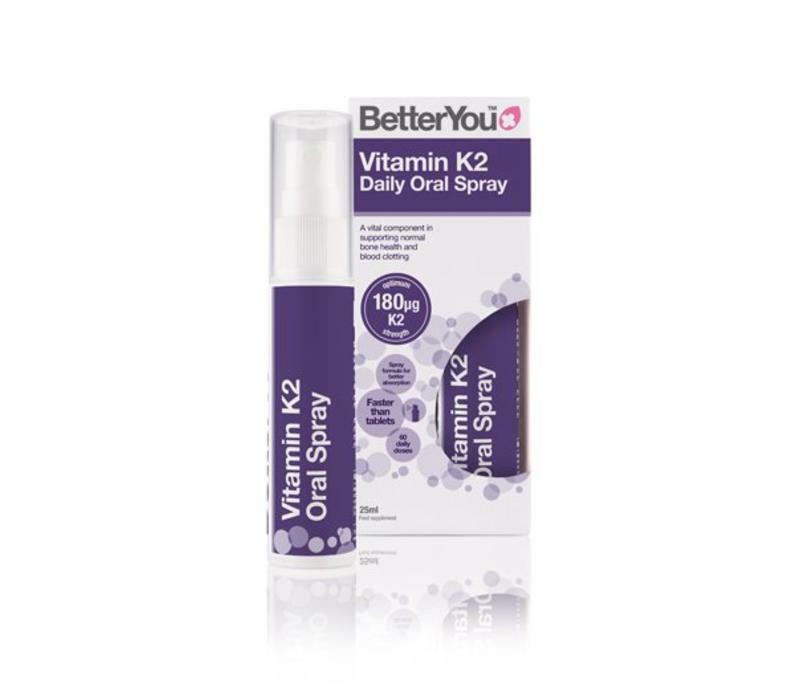 Delivering an optimal 180μg of vitamin K2, the oral spray is specially formulated to be absorbed directly into the bloodstream, bypassing the digestive system and ensuring maximum uptake of the 99% pure active ingredient. Free from: sugar, gluten, artificial colours or flavours. Suitable for vegan or vegetarian diet. INGREDIENTS: Purified Water, Xylitol, Acacia Gum, Menaquinone-7 (Vitamin K2), Sunflower Lecithin, Citric Acid, Preservative: Potassium Sorbate, Peppermint Oil, DL-A-Tocopheryl Acetate (Vitamin E). Directions: take 3 sprays daily or as recommended by your healthcare practitioner. Shake well before every use. Depress the pump 3 times to prime and carefully spray 3 times against the inner cheek. Research has found this to be the most absorbent area. Does not have to be taken with food or at a set time of day, find a time that fits best with your daily routine. Replace the cap after use. Once opened use within 6 months.